Let’s get this right out in the open: this book is geared toward kids. I dig it. It’s fun. But the story, characters, plot, and dialogue all scream pre-teen to earl teen. 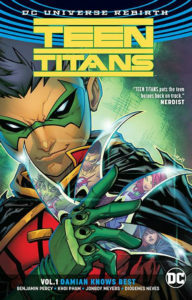 For his thirteenth birthday, Damian Wayne assembles a group of heroes, against their will, to fight a group of trained assassins coming to kill each of the heroes that Damian has captured. His goal, as a team, they will be stronger, and will have an easier time defeating the assassins. But, Damian is a total loner, baby the entire trade, and if I have to hear about daddy Batman abandoning him on his birthday one more time…so help me. You’re thirteen, not five! Your dad saves the planet. If that’s not the coolest birthday present every year, I don’t know what is. 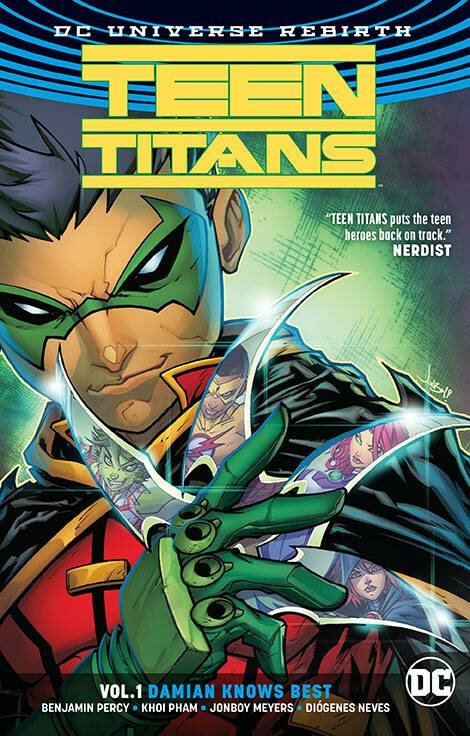 Damian Wayne is not only a brooding, complaining teen…he’s also egotistical, selfish, and displays a gruff exterior because he’s never known the warm embrace of care. And I know that I sound facetious discussing Damian here, but kids will eat this up! Teens with social/emotional problems coming together to help each other and fight against a common goal that also happens to be a parent-like figure? That’s every kids’ dream! It’s one of the reasons that The Runaways has become so popular. In a nutshell, the art is cool; the characters are fun, the plot is complex enough for mid-younger readers not to get bored. This is a great book to transition kids from books like Amulet into hero comics, but this is not a must-read for adults looking to get into or back into the genre.